A country’s desire to develop its business environment, encourage investment and accelerate economic development should also include a review of the rules and performance of the judicial system. 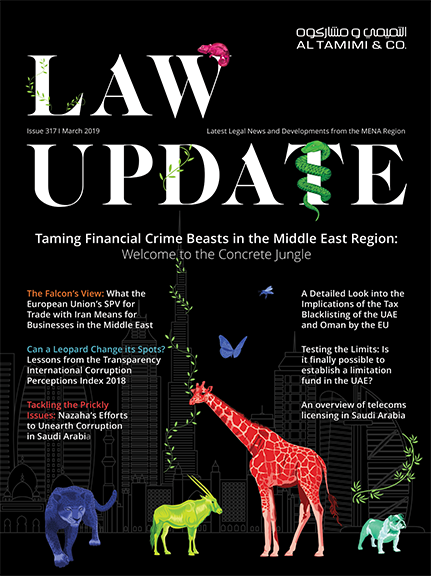 Historically, dispute resolution in Saudi Arabia has been labelled as uncertain and inefficient, with some saying that cases were taking too long. In 2007, HRH King Abdullah bin Abdulaziz Al Saud in order to address these concerns launched the “King Abdullah Program for Judicial Reform” with a focus on the development of legislation and the judicial system in the Kingdom on continuing basis. improving Saudi Arabia’s World Bank institution ranking. This article will provide an overview of judicial reforms undertaken and recent developments relating to the judicial system. The reform of the judicial system in Saudi Arabia started in 2007 when King Abdullah issued a number of royal decrees implementing an overhaul of Saudi Arabia’s judicial system. The Law of the Judiciary issued by Royal Decree No. M/78 on 19 Ramadan 1428H (October 1st, 2007) established the Supreme Court as the highest judicial authority in the Kingdom. This law also established new Courts of Appeals in the Saudi Arabian provinces as well as courts of first instance for general, criminal, personal status (family), commercial and labour matters in each city. The Board of Grievances Law also issued through Royal Decree No. M/78 on 19 Ramadan 1428H (October 1st, 2007) established a Board of Grievances (BOG) which oversees the Administrative Court system. The BOG organised the Administrative Courts in the following order: the High Administrative Court, followed by the Administrative Courts of Appeals and, the Administrative Courts. The High Administrative Court’s role is to look into cases objecting to the judgments issued by Administrative Appeal Courts. The Administrative Courts determine cases related to the rights of government employees, administrative decisions of public authorities, compensation awards, public contracts and disciplinary actions by public authorities. The commission for Labour Dispute Resolution (which will be replaced by the Labour Court when it is established). The commission for Banking Dispute Resolution. The commission for Securities Dispute Resolution. The commission for Insurance Dispute Resolution. The commission for Financial Market Dispute Resolution. The implementation of the above reforms was a complex process and required significant investment from the Saudi Government. Accordingly, the Government applied a pragmatic approach to implementing the new judicial system over the course of 10 years to ensure a smooth transition between the old and new systems. In September 2017, the Ministry of Justice opened the Commercial Courts in Jeddah, Dammam and Riyadh as independent courts directly attached to the Ministry of Justice rather than as a branch of the BOG, as was historically the case. All commercial disputes, whether principal or consequential, occurring among traders. Lawsuits filed against the trader because of its principal or consequential acts thereof. Disputes occurring among partners/shareholders in partnerships/companies. All lawsuits and violations relating to commercial laws without prejudice to the jurisdiction of the Board of Grievance. Bankruptcy lawsuits, interdiction of a bankrupt, or lifting thereof. The opening of the Commercial Courts came nearly 4 years after the law establishing their jurisdiction was passed by the Law of Procedures before the Shari’a Courts issued under Royal Decree No. M/1 on 22/01/1435H corresponding to 25 November 2013 (Civil Procedures Law). The Commercial Courts assist in providing certainty and speed of process for participants. Previously, commercial disputes suffered from jurisdictional challenges as to which was the appropriate court to hear the dispute, be it the BOG or the General Courts. These challenges added significant delay in the progress of a claim/dispute as proceedings were, in effect, put on hold whilst determination of which court had jurisdiction was adjudicated by the Committee on Jurisdictional Challenges. The opening of the Commercial Courts was, therefore, heralded as the beginning of a new era for the Saudi judicial system and its procedures. The first hearing date for a commercial case shall not be later than 20 days from the date the lawsuit was registered. The maximum number of hearings for commercial cases, after the defendant has been notified, must be no more than three; further adjournment is not allowed except for cases of necessity, such as the illness of one of the parties or their representatives, or the inability of a witness to attend. In the first hearing, the judicial panel must determine the preliminary issues pertaining to jurisdiction and admissibility conditions. The Court may, in commercial proceedings, enable the parties — via a duly recorded decision — to exchange memos and documents with the Court administration; the decision must include the number of memos, the date of filing for each of them, and the date of the next hearing. The expert appointed by the Court must submit his report to the Court within 60 days from his appointment to the case. If the expert is unable to submit his report to the Court within the 60 day time limit, he must clarify the reason for the delay and the Court may extend this period for a maximum of 30 days. The above amendments to the implementing regulations of the Civil Procedure Law were required to re-engineer existing litigation procedures to ensure efficiency of commercial proceedings and quality rulings being issued by the Commercial Courts. As part of the judicial reforms, the Ministry of Justice and BOG issued a series of publications in 2016 containing court judgments from commercial, civil, administrative and criminal cases. These publications provide judges and lawyers with valuable knowledge about how the courts have historically applied Shari’a and legislation to actual cases. These judgments are considered as guidelines and persuasive in nature rather than precedent, as in common law legal systems. However, in practice, we are seeing many judges follow these judgments where they are relevant and applicable. On 5 January 2018 the Minister of Justice and Chairman of the Supreme Judicial Council published a sourcebook of legal principles and precedents. This comprises a book of 2,323 principles and decisions and a further set of eight volumes containing the jurisprudential roots from which the principles have been derived. These books were prepared by the Supreme Court after reviewing over 20,000 rulings issued during the last 47 years. In addition, there is a special committee comprised of highly regarded scholars in Saudi Arabia appointed by King Abdullah to codify Shari’a jurisprudence in relation to civil, contract, criminal and family cases in order to bring more clarity and uniformity to judicial rulings. This ongoing project will be a crucial tool in improving Saudi Arabia’s legal and judiciary system. The Ministry of Justice and BOG have also implemented a huge IT project, involving the introduction of new hardware and software to the courts and online platforms with a focus on the Administrative, Commercial and Enforcement Courts. This online approach has allowed parties to proceedings to submit requests and file lawsuits online without visiting the relevant court. It also allows all parties to see all information related to their case and the associated motions. In line with the objectives of Vision 2030, these IT projects hugely support the efficiency of the judges and the administration of these courts, as well as save litigants’ time and cost. The Ministry of Justice has also implemented a Royal Order which allows judicial notifications be to communicated electronically via SMS on verified phone numbers e-mail addresses, and accounts registered on government automated systems. Such notifications are valid and effective legal summons and have the same effect as traditional methods of notification recognised by law. This will mean that courts can send legal summons to defendants via SMS using the number registered on government automated systems, whereas previously a claim would be stayed if the claimant did not know the defendant’s address for service of the claim or good service had been successfully challenged. The proposed law will apply to most cases before the Saudi courts, except for a small number of cases such as criminal, family and enforcement cases. The law includes fees to be paid in relation to any requests made to the Court for certified copies of a judgment or copies of documents. Furthermore, the losing party will be liable to pay all Court fees in the proceedings to the claimant. In the event that the Court has not awarded the full amount of the claim, the losing party will pay only part of the court fees, in proportion to the degree of success of the winning party. The fees paid by the parties will be deposited in a special account dedicated to improving judicial bodies in Saudi Arabia. Under the provisions of the draft law, the maximum judicial costs and fees for any case will not exceed SAR 1,000,000. Further clarification on particular issues, such as the amount of fees payable for certain services, will be provided in the implementing regulations which will be published after the law receives royal approval. Judicial experts and prominent lawyers have stated that they expect this law will reduce the number of the spurious cases being brought before the courts, encourage settlement of cases outside court and the use alternative dispute resolution such as mediation. The Ministry of Justice has made good progress in reviewing and reforming the efficiency of legal and judicial system in Saudi Arabia in recent years. However, given the far-reaching and ambitious objectives of Vision 2030, further reforms are likely to ensure the legal infrastructure in Saudi Arabia is sufficiently robust to deal with the increased activity in the economy from both local and foreign investors. In particular, further reforms are likely to codify Sharia law in order to unify court judgments, review and update existing laws and regulations, ensure the implementation of these laws in the courts, and the recruitment and training of highly skilled judges and adminstrative staff. With these and further reforms envisaged, the reformed legal system in Saudi Arabia will provide the judicial infrastructure for Vision 2030 to be achieved. For further information please contact Dr. Ahmed Basrawi (a.basrawi @tamimi.com).